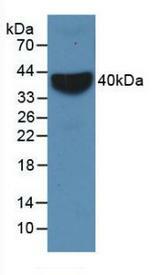 CD106 antibody LS-C684665 is a biotin-conjugated mouse monoclonal antibody to rabbit CD106 (VCAM1). Validated for WB. 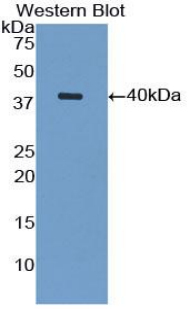 VCAM1 / CD106 antibody was raised against recombinant VCAM1 (Ile409-Thr682) expressed in E. coli. 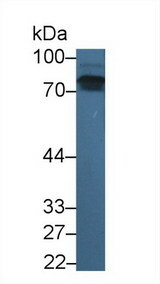 Western Blot; Sample: Recombinant VCAM1, Rabbit.